As a Telerik Partner for Consulting and Training, we are confident that we can create an effective solution to match your business needs. AI Software is a Telerik Platinum Partner since 2013. We help IT Application Managers, VP of Software Development and CTOs answer this question and make a better choice by comparing the tools available in the market. Please Review Our Portfolio to see applications built using KendoUI for industries like Automotive, Healthcare and High Tech. Kendo UI controls are integrated with multiple popular platforms for easier integration and making them more developer friendly. If your current development stack is .Net, Java or PHP, then Telerik has a version of Kendo UI that can be used with your choice of language - whether C#, Java or PHP. 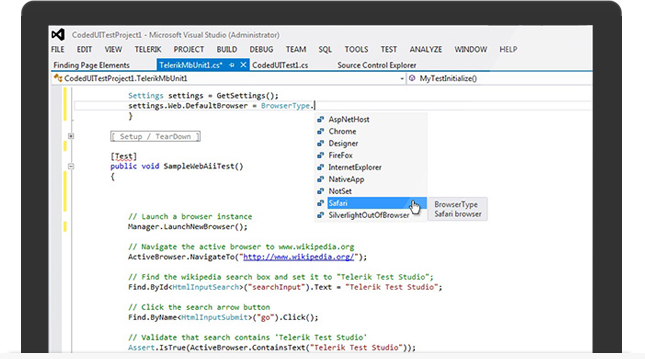 The Telerik UI for ASP.Net MVC is made of HTML Helper library that can be used in MVC views within Razor or ASPX syntax. The Telerik UI for JSP controls can be used in JSP Views using JSP Syntax. The Telerik UI for PHP controls can be used in PHP files using PHP Syntax. Since .Net is now open source, the applications developed using Microsoft .Net can be deployed on to any hardware or OS including Linux, Apple MacOS or even Raspberry Pi. Telerik has also stayed ahead of the game by having Telerik UI for ASP.Net Core. The versatility of Kendo UI controls on various platforms is an encouraging sign for enterprises to invest into this modern development toolset. For your next application, Contact Us to find out how we can utilize Telerik Kendo UI controls for your choice of platforms. 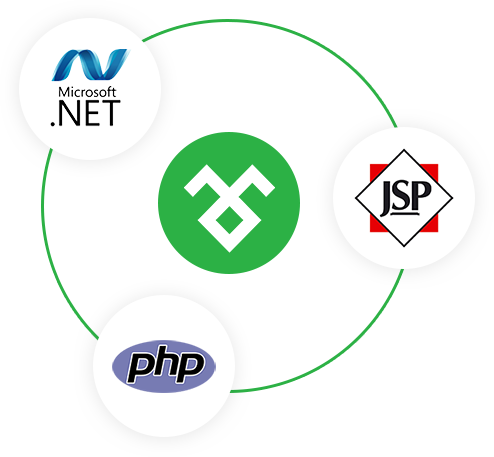 The Telerik UI for ASP.Net Ajax is a new name for original RAD controls. They are used in web applications built using ASP.Net Web Forms. Is Telerik UI for ASP.Net Ajax the right set of tools for your applications? How to use a classic RAD Ajax Control within your MVC application? Why is your application slow? Is it due to RAD Ajax Control or poor practices? We are often asked such questions and we help clients with resolving these problems. 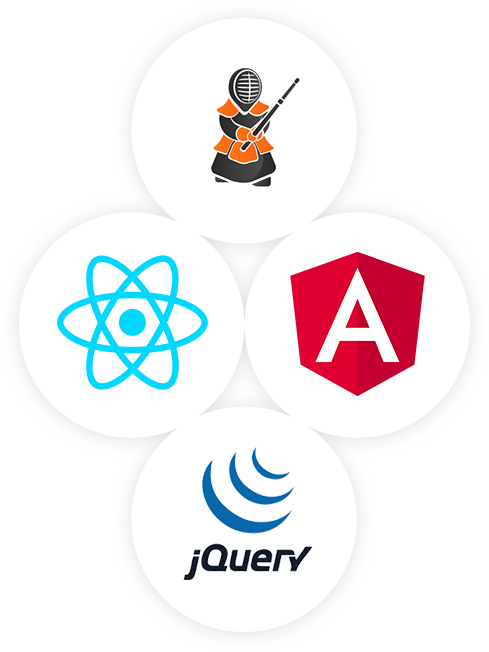 Take a look at our portfolio to see the applications developed using Telerik RAD Ajax controls. Telerik Reporting products include the Report Viewer, Standalone Report Designer and a Report Server. The Report Viewer can be easily integrated into KenoUI MVC Application. 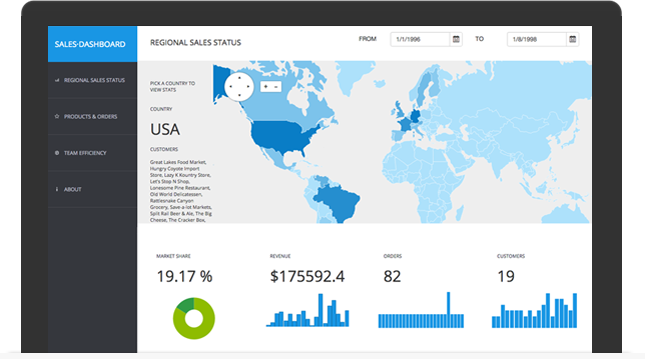 There are report viewers available for ASP.Net Ajax, WPF and Winforms Application. Our team has helped client reduce their report building time by over 200% by using Kendo Reporting in MVC Application and dynamic report rendering features. The Report Designer is an extraordinary tool to create modern reports with rich features of integrating Charts and Data. The reports can be stored as a C# class or in proprietary XML format. The Report Designer is an easy to use tool, so non-programmers can also use it to create reports. The Report Server is able to store reports in its repository and schedule their execution. The server can send the final report output to intended subscribers at a scheduled time. The report server is a modern tool that will see many more enhancements in future. The Testing Framework is a .Net/C# based API to automate the testing of your web applications. The framework supports various browsers such as IE, Chrome, Firefox and Safari. The challenge for most modern testing frameworks is in handling asynchronous Ajax calls. The WaitForElement(s) methods provided by the framework allows developers to reliabily test the Ajax calls. The Test Studio is a great tool to perform Automated Testing and Load Testing of web applications. The Testing Framework is a free API. Telerik Test Studio helps to record the tests and generate the testing code using Telerik's Testing Framework API. The advantage of using the Test Studio is to avoid writing the manual test cases. Our team is experienced in setting up the automated tests for Web Applications using Telerik Testing Framework and Test Studio. If you need help with deciding the strategy for your Application QA Automation, please Contact Us today.